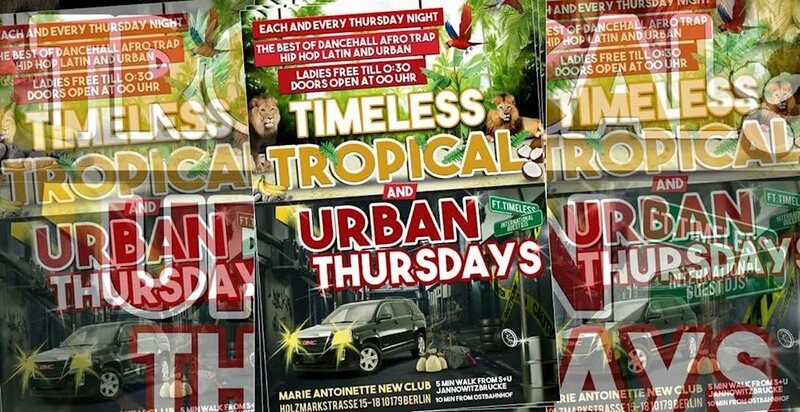 This event "Timeless Tropical & Urban Thursdays • Dancehall • Afro • Hip Hop" @ Marie-Antoinette has already ended on 07/12/2018. Here you can find upcoming events for this location! + Ladies Free until 1 a.m.
Ladies free until 1:00 a.m.